BR 35/12 C BP Compact Scrubber | Hotsy Equipment Co. The BR 35/12 C BP Compact Scrubber can clean up to the wall at a 90º angle thanks to the innovative steerable scrub deck. 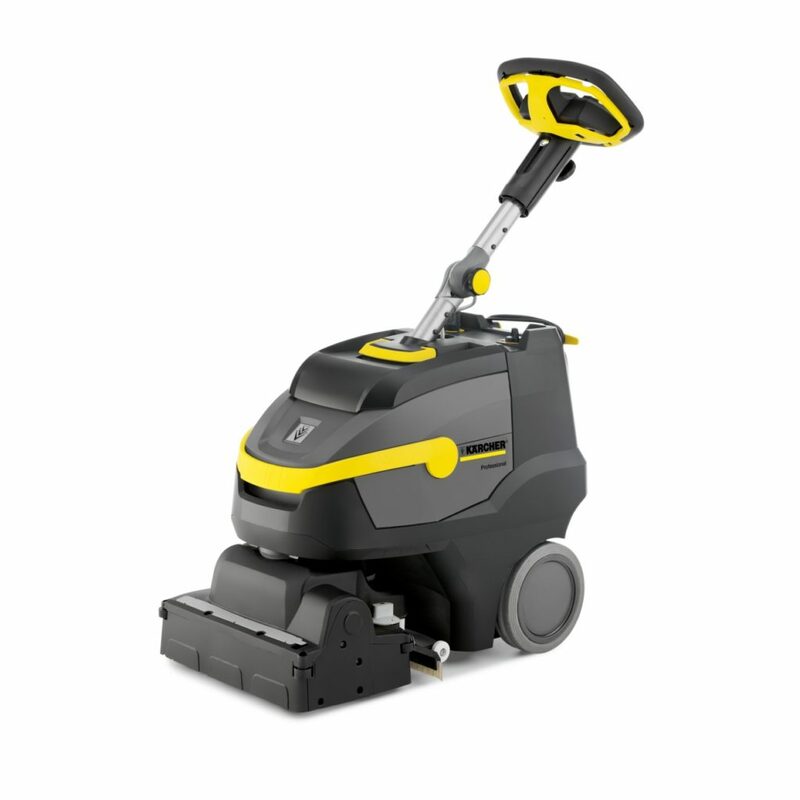 The BR 35/12 can clean in any direction, including reverse, and with it’s adjustable brush height, is ideal for multiple floor types. The telescoping and folding steering column provides comfort and support for operators of all heights. The BR 35/12 is equipped with a unique co-efficiency mode which increases operation by 50% while reducing noise by 40%. If you’re looking for a powerful floor scrubber that can tackle those tough to clean corners, look no further than the BR 35/12 C BP Compact Scrubber from Hotsy Equipment Co.
Brush Working Width: 14 in. Vacuum Working Width: 18 in. Fresh Water/Waste Water Tank: 3 Gal.